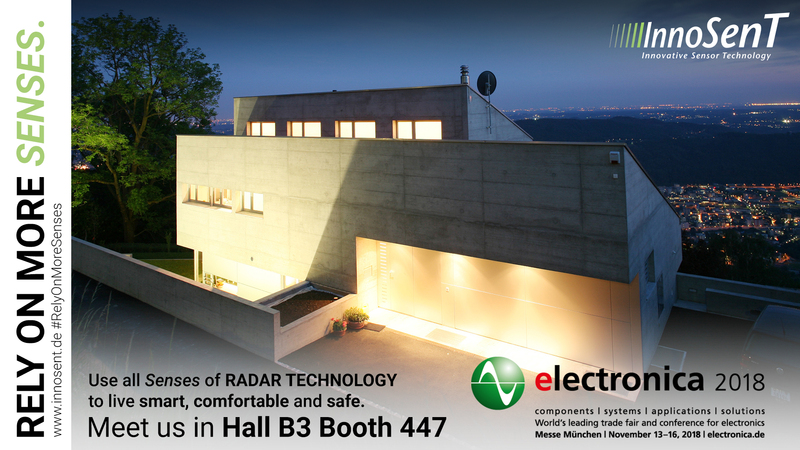 The experts in radar technology will be exhibiting at the leading trade fair for the security industry, in Essen. Donnersdorf (Germany), August 14, 2018 -At Security in Essen from 25 to 28/09/2018, InnoSenT GmbH will inform visitors about its security products and present its new iSYS-5020 system to the public for the first time at its trade fair booth (Hall 7, Booth B 7B27). With its presentation entitled “Rely on more senses”, the company will also report on the status quo and the benefits of radar sensor systems for the security market. 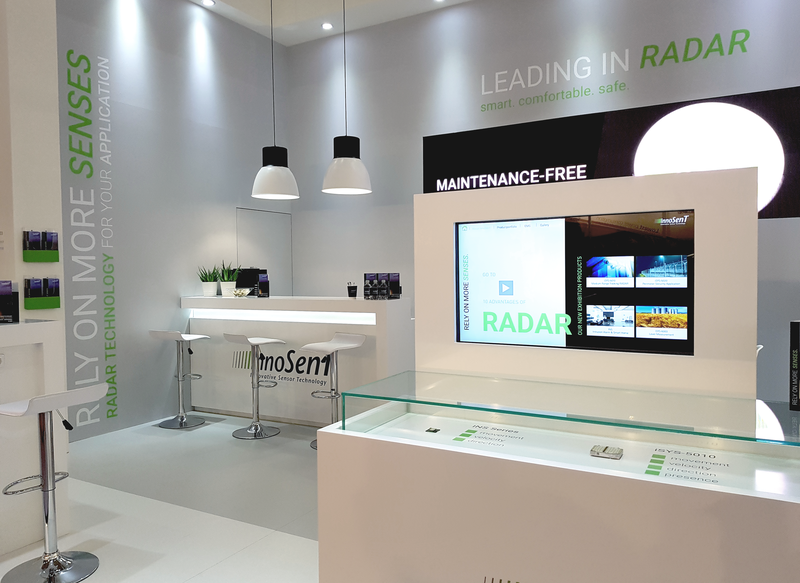 As one of the leading companies in its industry, InnoSenT wishes to offer broad opportunities for the various prospective customers to learn more about radar. 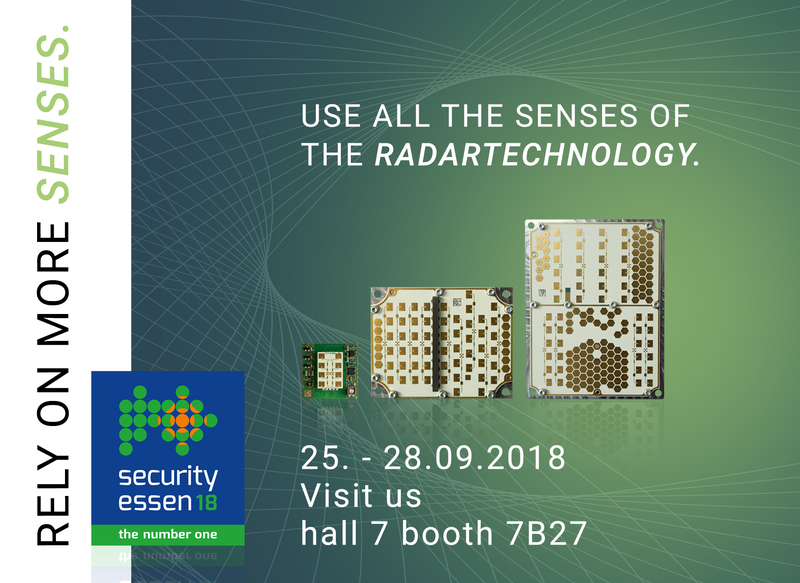 The presentation by Christian Düring, Product Manager at InnoSenT GmbH, on 26/09/2018 at 11:45 a.m. (Hall 2, Booth 2B99) will cast light on the functionality of the technology, its benefits for the security industry and its applications. He will also explain how sensors support other technologies such as cameras. “The growing demand drives manufacturers of security systems to look for new solutions to optimise their products. This has pushed radar sensors increasingly into focus. A further trend is the combination of radar and video technology, which yields unbeatable synergy effects”, says Düring. 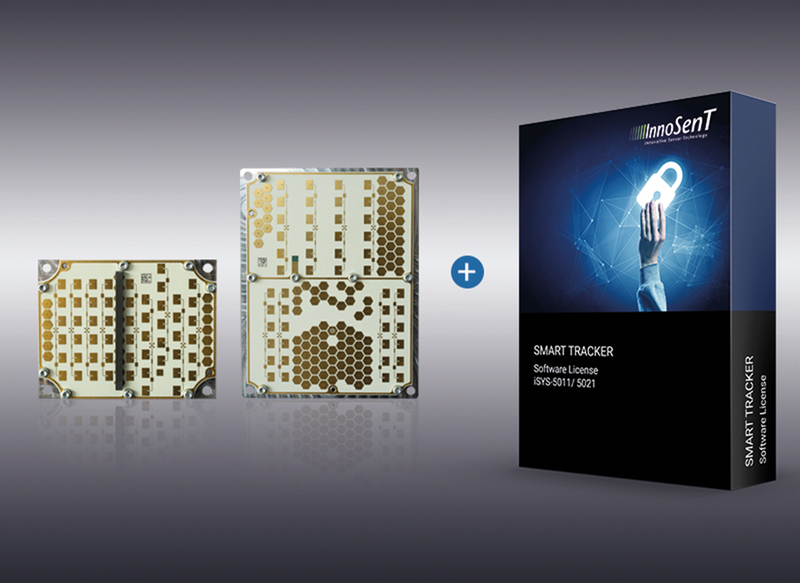 Two supporting 24GHz radar systems developed by InnoSenT specifically to optimise video surveillance will be on display at the trade fair booth. In addition to the iSYS-5010 radar system, InnoSenT will also exhibit the iSYS-5020, which has only recently become available. The new product boasts the same features as the iSYS-5010, which has been nominated for the GIT SECURITY AWARD 2019. However, the new version impresses with five times the coverage area. The system thus detects, classifies, and filters objects up to 150 metres away. This makes it ideal for the large-area monitoring of outdoor areas. Both products can be used either in combination with a camera or as a stand-alone set-up. Products for close range can also be found in InnoSenT’s portfolio. At Security, exhibits from the SMR and the INS series will be on show at the trade fair booth, among others. The InnoSenT team will be happy to provide visitors with individual consultation regarding suitable radar solutions or share their experience at any time. 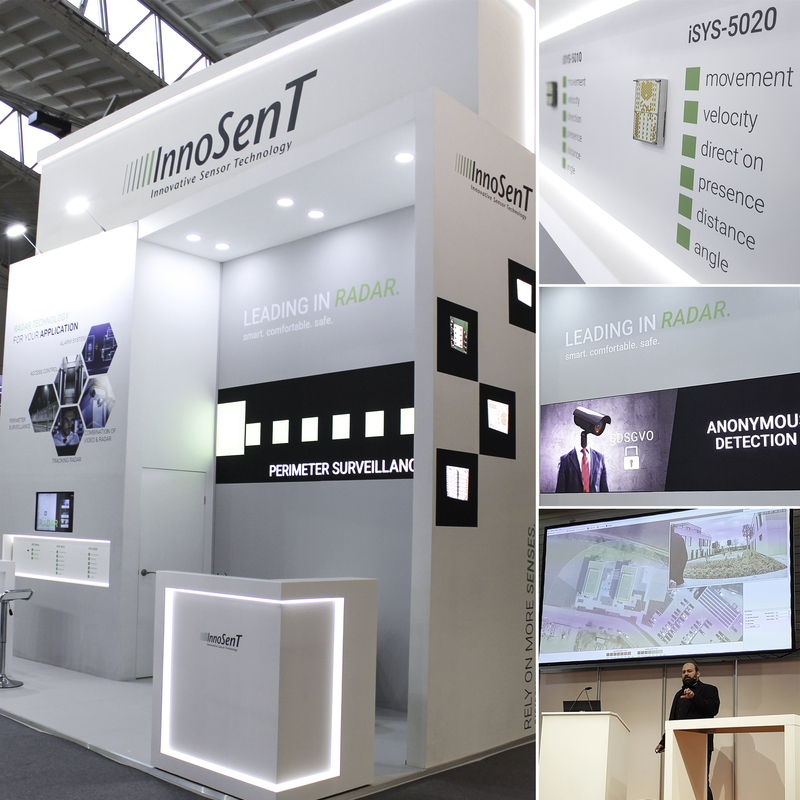 The InnoSenT team invites you to experience radar live at their exhibition area and learn more about the technology. In addition to interactive media on site, InnoSenT will also follow the trade fair event on their social media channels and reports on all highlights. Further information about the company’s exhibition at Security can be found on the company website and social media. Publication only with acknowledgement of source and consent of InnoSenT GmbH. For printable images or more information about this topic feel free to contact the InnoSenT Company. InnoSenT GmbH from Donnersdorf was founded in 1999 and is one of the world’s leading companies in the field of radar technology. 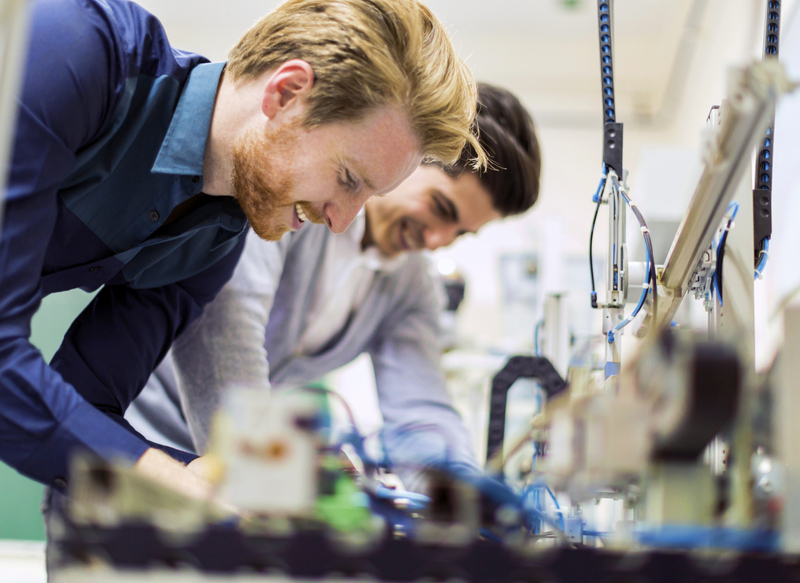 As a manufacturer and developer, the company supplies the full bandwidth of engineering services – from customer-specific development to series production. Thanks to the strong focus on quality and innovation, InnoSenT GmbH has been following a course to global success for many years. RADARNEWS: Receive all recent News comfortable via mail!